Are you new to the area and looking for a way to meet new people and make contacts? Are you looking for a way to get more active and keep fit? 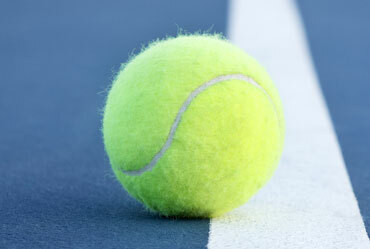 Did you play tennis in the past, and would like to get back into it after a few years off? Are you a keen tennis player looking for competition? We are a friendly, welcoming and family orientated community tennis club and we proudly boast a playing membership ranging from our youngest players aged five, to our oldest player aged 86. We are always on the lookout for new members and have a range of introductory sessions available for both juniors and adults. So please get in touch or pay a visit to the club if you, or your family, are interested in playing tennis. To find out more see “Club Sessions”. We have three tennis courts available for members to play on, all of which are floodlit. The courts are located at our home base in Garth Park and can be accessed either via the park or from London Road. We play tennis all year round, regardless of the weather. To join Bicester Tennis Club simply get in touch! For pricing information see here.